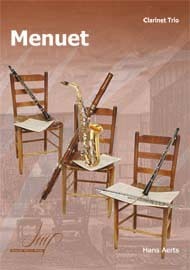 Clarinet music, sheet music, download sheet music, music book, and lots more ...! Nowadays it' real fun to look for new sheet music. The internet makes this so easy, that you can stay in your comfortable home while searching our clarinet catalogues at your own pace! There is a really big choice, provided by many different music publishers. This is no cheap "public domain" site: each piece is fully copyright-protected and carefully selected. We try to add new pieces all the time. This big selection of music for clarinet and piano, clarinet solo, educational books and music for clarinet groups or clarinet choir makes it easy to find just the music that you are looking for. 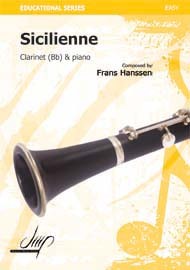 Again, this is a selection of clarinet music edited and published by many different music publishers, all on one site! This website is not a "link farm" with hundreds of links to other sites. All the music you find here can be downloaded immediately from this site. If you like a piece, download it and start playing and enjoying the music in a matter of seconds... and of course: this music passed several quality tests. So, take your time to look into our catalogues and article database ! 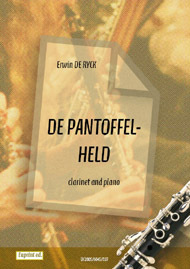 The articles are written by many different people on various subjects related to the Clarinet. Please be welcome to send us your own articles (articles@1-st-clarinet-music.com). Every article that we publish here, after approval, will mention your name, short CV and, if you wish, a link to your own web site. Be sure to add your correct data! A beginner clarinet has to fulfill a few different criteria – they have to be able to make a clarinet player sound good early to avoid the beginner giving up, but also have to be priced so that the new clarinetist is not put off by the price. Downloading sheet music ... is this safe? The clarinet is a mellow woodwind instrument suited both to the symphony orchestra and the jazz ensemble. While not the lowest member of the clarinet family (that is the contrabass clarinet) the bass clarinet is the deeper voiced of the two regularly used clarinets (the other being the b flat clarinet).